Hackers are becoming increasingly adept at breaking through a variety of super-secure firewalls, and they're not just after the riches of Fortune 500 companies. Hackers are equally (if not more) interested in hacking into your personal computer and stealing everything from your browsing history to your banking information, and they can do so without your knowledge—even if you're browsing in the comfort of your own home. A VPN (Virtual Private Network) is your first and most important line of defense against everything from individual hackers to large-scale malware attacks, and if you're still surfing the Web without one, you may as well be leaving your laptop open and unattended in a crowded coffee shop. These services also help you sidestep content restrictions when you travel overseas, and hide your browsing history so that you won't have to worry about falling prey to a relentless onslaught of obnoxious ads and pop-ups. Unlike most VPN subscriptions that offer limited security and decrease your browsing speed, ProtonVPN is an award-winning service that lets you browse the Web in complete anonymity and at full speed—meaning you'll never have to choose between security and bandwidth. Created by the team behind one of the most popular encrypted email services ProtonMail, the ProtonVPN currently has more than 325 super-secure servers located in over 29 countries and counting, and OpenVPN protocols that ensure you're always browsing on secure connections, and a built-in kill switch that automatically blocks access to your data if your connection is unexpectedly compromised. Using ultra-secure AES-256 encryption technology, ProtonVPN masks every element of your online movements, and leverages Perfect Forward Secrecy tools to ensure that your encrypted traffic can't be captured and decrypted later by a third party, even if your encryption key is compromised. Another benefit of subscribing to ProtonVPN as opposed to other, similar services is that they're based in Switzerland, which is known the world over for having some of the strictest privacy laws of any country. This means that even ProtonVPN won't be able to track your movements, and the chances of the company being coerced by the Swiss government into leaking your information are practically nil. 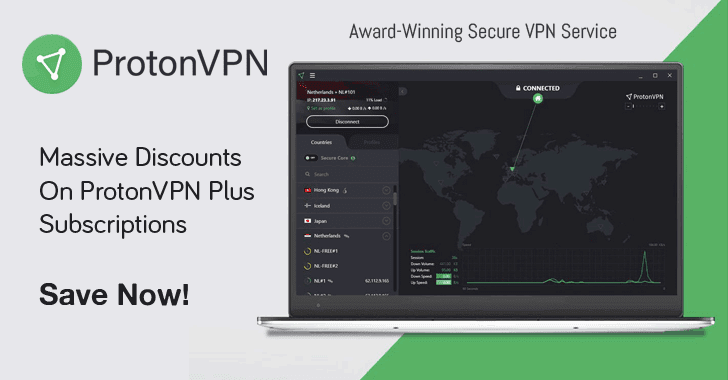 ProtonVPN is also one of the most torrent-friendly VPN services on Earth so you won't have to worry about slow connections while using your preferred torrenting program. Looking for a great discount? Don't worry we got you covered this Black Friday and Cyber Monday. Don't wait until it's too late to safeguard your most sensitive information online. 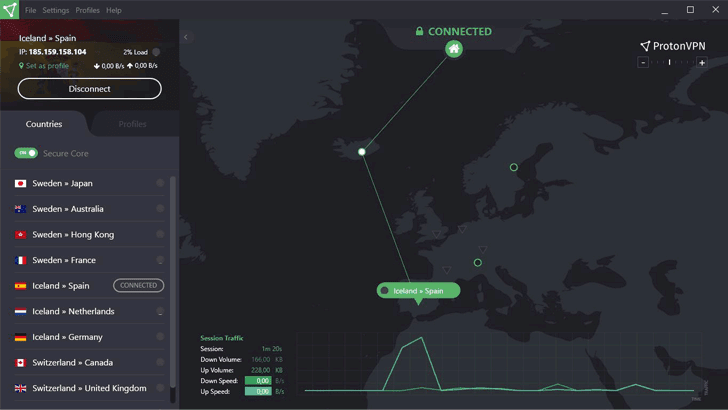 Land a discounted subscription to this award-winning VPN service today.